Anyone who needs to develop or build new teams, re-build existing teams or repair underperforming teams by managing team culture change. Those who need to develop multicultural teams will especially benefit from this program. You will learn how to build a high-performing team, which brings with it a multiplier effect. Achieving synergy in a team ensures exceptional results and exceeded targets. Participants will identify the key success factors of a high-performing team; be able to understand and lead the 4 phases of team development; ensure good communication inside the team, and lead their teams through conflict and change. This is a highly active module. Most of the lessons are reinforced through practice in team exercises and review. Self-ranking exercises are also used to examine individual preferences in team roles. JCO’s particular strengths lie in the ability to facilitate the building and development of intercultural teams led by Japanese managers operating in Europe, the Middle East and Africa (EMEA) or the Americas. 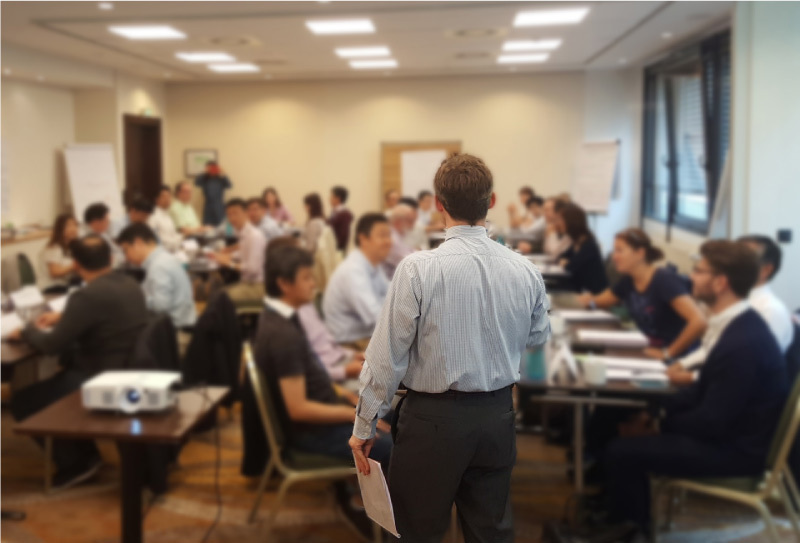 The trainer will illustrate the points discussed with examples from his or her own experience working in Japan and abroad.